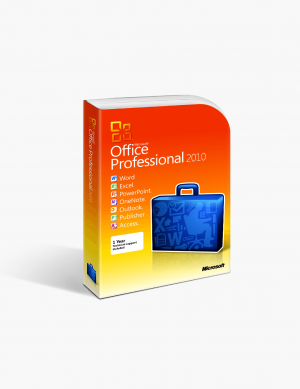 Microsoft Office 2010 has implemented numerous changes that affect the efficiency and productivity of all its applications. This decision has made the application easier to use and one of the most anticipated changes was the integration of an innovative ribbon interface. 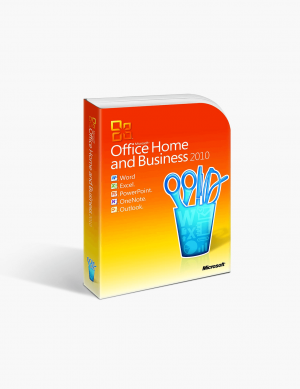 This incomparably attractive choice shies away from Office 2007, yet still includes all the Office tools you know and love – making Office 2010 an even more attractive and useful package than ever before. Collaboration has been made seamlessly easy for Word 2010, as you can now edit, share and create documents with others in real time which you are able to store afterward in the SkyDrive. A good feature is the fact that a collaborator can spot the paragraph you’re working on and that will be locked for editing. Meanwhile, you can also see the names of those collaborating, keeping track of the work that is being done. More importantly, you can view documents even without saving them, meaning that you can access something without needing to download it to a PC as it may potentially have malicious viruses. OneNote allows users to record audio with ease and you’re now able to put clippings to make each task easier to find and conveniently store. This is done with the help of the "find" tool, allowing you search through a vast array of documents at once. PowerPoint is one tool which we all use – be it for the office, college, or university presentations. This tool has been made easy to install and has the added capability of turning any slideshow into an attractive looking video. Feel free to add any notes at the bottom of the page, as well and then share it with your colleagues. Should you work on statistical or mathematical problems as part of your team, Excel has now even more to offer. This is due to the 50 new functions which are meant to increase your accuracy and productivity. Additionally, no statistical analysis is complete without the use of relevant data and that’s why the Pivot Charts will increase data display capabilities and the storing of relevant information. The main thing you will be impressed with is the overall speed at which you can complete relevant tasks – ranging from opening, editing, saving, sharing, or even completing backups. In comparison to the 2007 version, Outlook 2010 merits from numerous improvements that have made the interface user-friendly, quicker and more efficient - with the main focus being the general mail manager change. As you can see, there are have been a few changes which are designed to make your life easier - especially since Microsoft Office is one of the main tools we use in both our personal and professional lives. Of course, technology is changing by the minute and it won’t be long until we’ll see a new and improved Microsoft package.